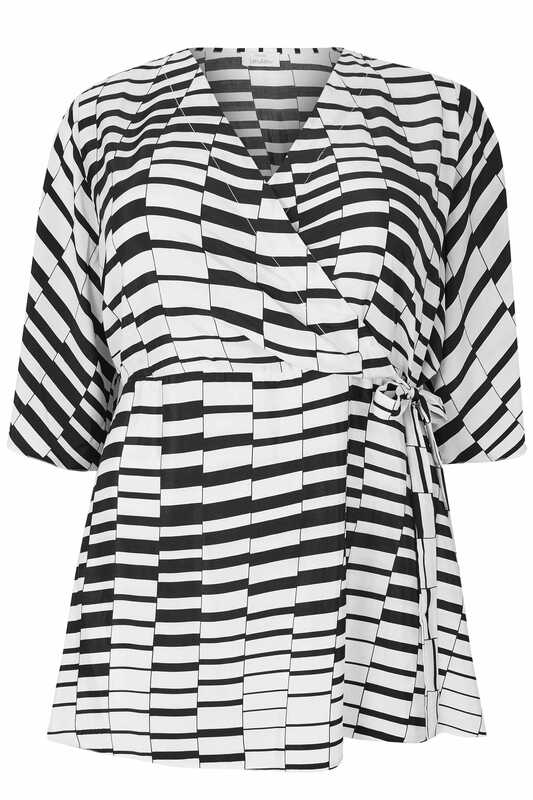 In a lightweight chiffon fabric, this chic blouse features a flattering wrap over front with a self-tie waist. With elegant kimono sleeves and an elasticated back, it is the perfect piece to take you from day to night. Team with black skinny jeans a pair of white heeled sandals for a chic evening outfit. 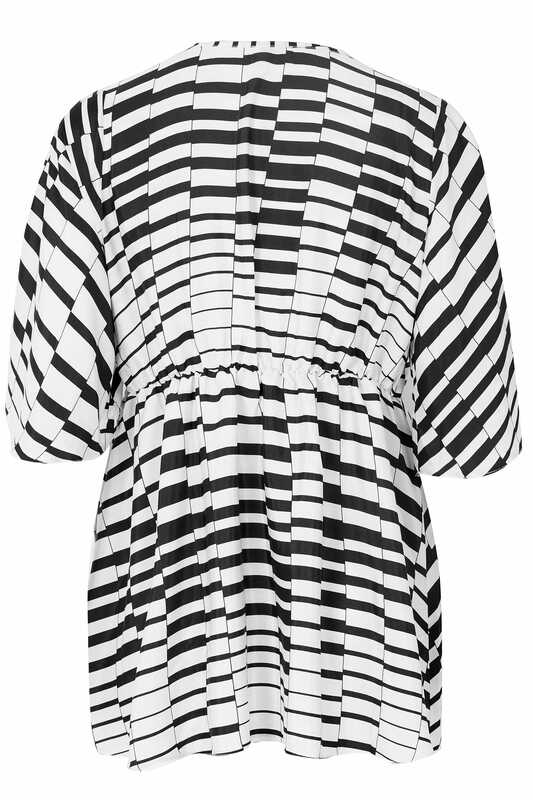 We are loving the contemporary monochrome print.